Brandon is a model and former bodybuilder (he did competitions and stuff like that), he maintains this super ripped look year round. To find out how he does it you can read this interview I did with him. You can also add him on linkedin or facebook. Hitch is famous on YouTube for his impressive abs, this guys abs are so ripped and thick that they look like implants, all 8 of his abs are well developed. 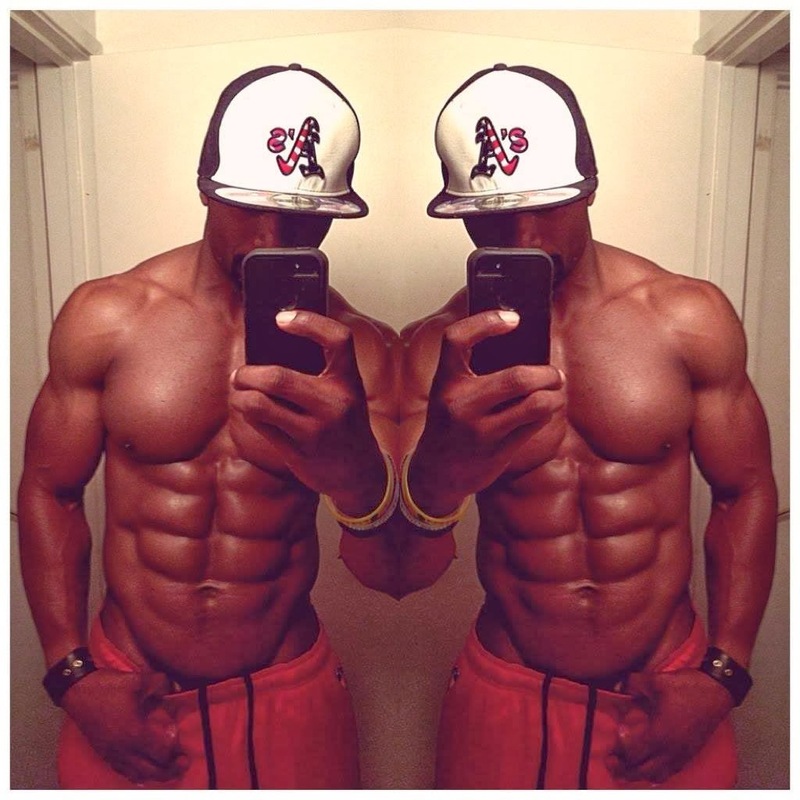 He shares tips of getting ripped abs on his YouTube channel. 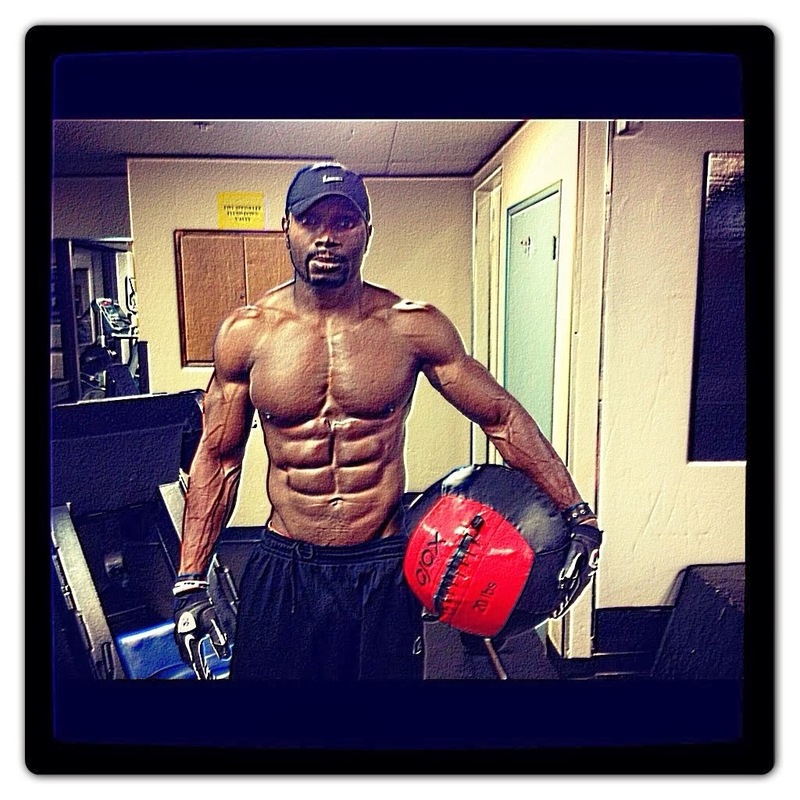 He shares other fitness tips as well but his abs are what made him famous. He also competes in fitness competitions. You can also follow him on instagram @HitchakaJames. Ben Noy is a popular fitness dude from the uk, he is a model, fitness model and he competes in fitness shows as well. This guy is probably one of the most shredded guys I have ever seen, in some of his pics his bf levels are extremely low. Be sure to check out his facebook page, twitter and website to get fitness tips, inspirational quotes with inspiring images to go with. "I'll Do It Tomorrow, Starting My Diet On Monday, What Can I Take To Speed Up The Process! 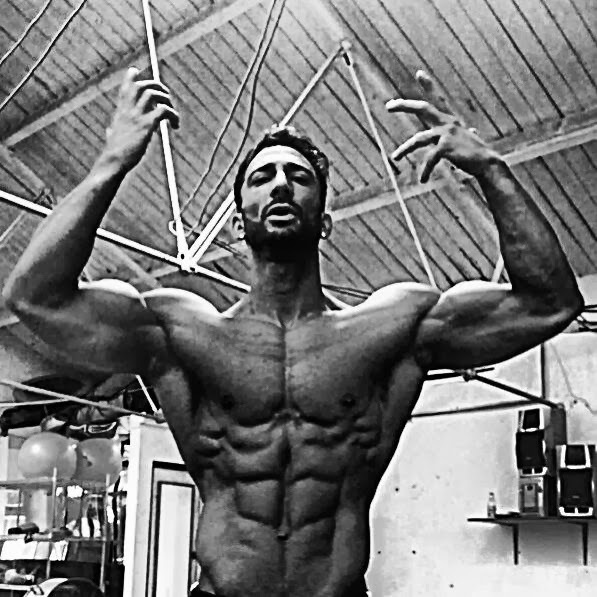 ?, How Can I Lose Fat And Gain Muscle"
My Suggestion:- It's a lifestyle, tomorrow never comes! Stop wishing your life away with delaying what can be done today...Happiness Is Around The Corner! Hey guys today I decided to post an interview I did with Brandon Gutierrez a former bodybuilder who is now a model. 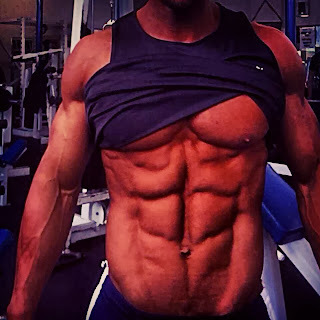 Many guys wonder how to get defined and well developed 8 pack abs or 10 pack abs, so I thought why not ask someone with some of the most impressive abs on earth. Tell us a little about yourself and how you started working out? Hello, my name is Brandon Gutierrez, I am currently 25 years old, 151lbs standing at a height of 6'1. I began lifting at the age of 17 but never took it seriously until the first day of 2006 which was the day when I decided to take my body to a the next level. I was inspired by not only my father who had a naturally ripped physique that was genetically passed down to me but also want to give alot of credit to the friends who supported my dreams and were always helping me in any way they could, they believed in me which created a positive environment that lead to extreme motivation and dedication to the sport which eventually provided the significant results that had in mind. When I really started to notice this physical change occurring I began to build a "Fitness Model" type of look and body. At the moment I will be focusing on my weak points and hope to excel my physique as much as possible. In my free time I enjoy going to movies, hanging out with friends and having a good time in general. When it comes to abdominal training, diet is KEY. Most people do not realize the significance of their own personal "Body Type" and the crucial role it plays in regards to muscular development and overall physical fitness. To give you a better understanding of the various body types I will introduce the three ; Ectomorph, An ectomorph is a typical skinny guy. Ectomorphs have a light build with small joints and lean muscle. Usually ectomorph’s have long thin limbs with stringy muscles. Shoulders tend to be thin with little width.hey have a fast metabolism which burns up calories very quickly. Ectomorphs must consume a significant amount of calories in order to add muscle and gain weight. Workouts should be short and intense focusing on large muscle groups. Supplements are highly recommended. Ectomorphs should eat before bed to prevent muscle catabolism during the night. Typically, ectomorphs can lose fat and gain muscle very easily. Next you have the Mesomorph "Body Type" A mesomorph usually has a larger bone structure, fuller muscles and a naturally athletic physique. Mesomorphs are the ideal body type for bodybuilding. They have little to no difficulty gaining muscle,losing weight and staying fit. Naturally strong which is the perfect platform for building muscle. Lastly you have the Endomorph "Body Type" The endomorph body type is solid and usually soft. Endomorphs gain fat with ease. Endomorphs are typically of a shorter build with thick arms and legs. . The majority of Endomorphs find they are naturally strong in leg exercises like the squat. If you could only do 3 abs exercises which ab exercises would you do and why? 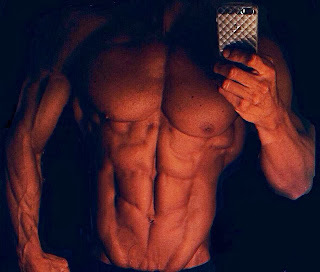 First and foremost, I would not even bother to work out abs if I could only choose three exercises, I focus on exercise integration and muscle confusion on a consistent basis. What sort of cardio do you do to get ripped? I have never been a fan of cardio, even though I do incorporate it into my workout regime if necessary. When I decide to do cardio, it involves about 30 mins on the stair master with a dumbbell in each hand (weight varies) or I will go swimming for about 30 - 45 mins followed up with a 10 minute steam room session. You only weigh 151lbs and yet you look bigger, what creates this effect? Thank you for sharing this knowledge with us, where can people find you if they want to contact you or follow your progress? Or they can contact me directly @ (310) 597.9981 for fitness consultations.